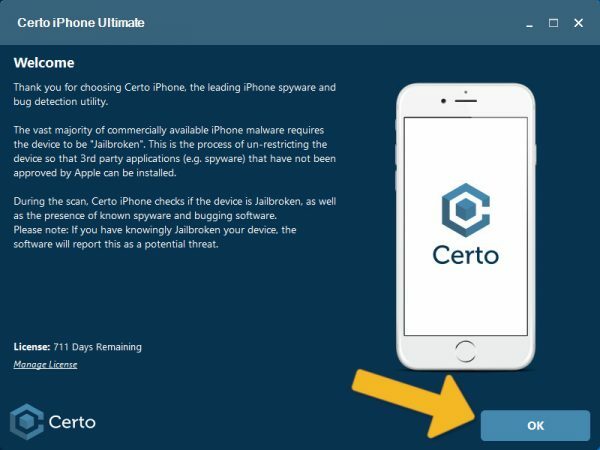 Follow the instructions on this page to scan your device for spyware and other security vulnerabilities with Certo iPhone. 3. 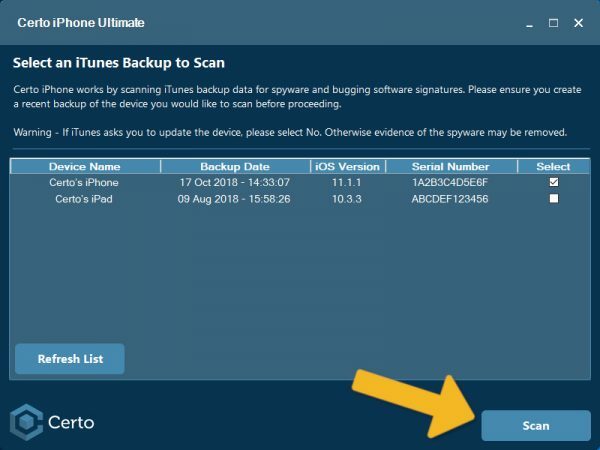 Select the backup of the device you wish to scan and click the ‘Scan’ button. 4. 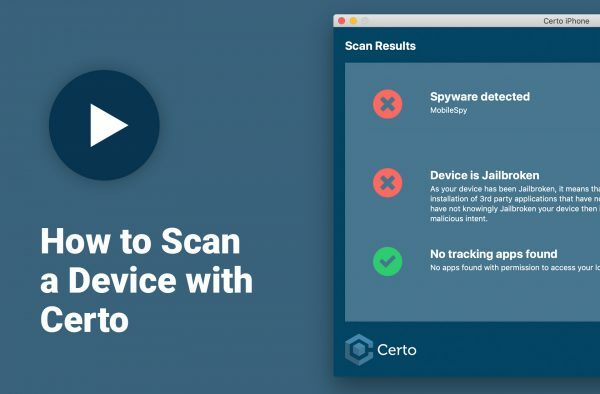 Certo iPhone will now perform a thorough scan of your device. 5. The results of the scan will be displayed. These results are grouped into three categories. 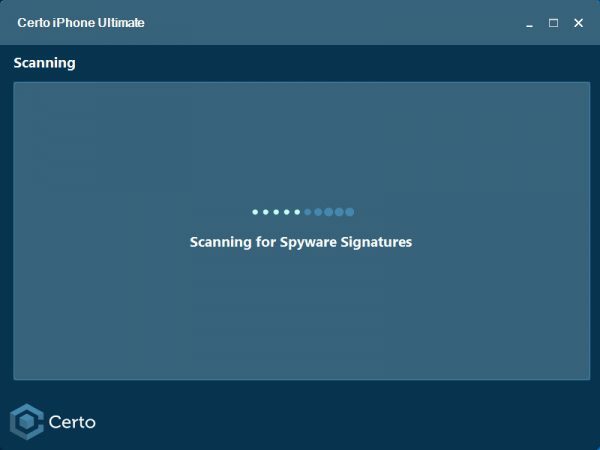 Spyware Detection: A green status icon indicates no spyware has been detected. A red status icon indicates that spyware has been detected, the spyware name is displayed. Jailbreak Detection: A green status icon indicates that the device is not Jailbroken. A red status icon indicates that the device has been Jailbroken and is potentially unsecure. 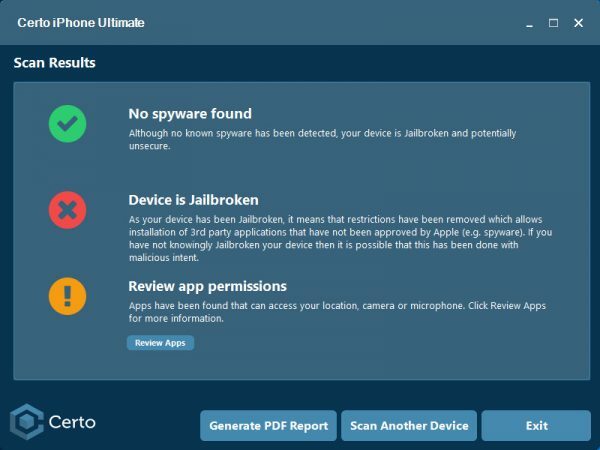 App Permissions Check: A green status icon indicates no apps have been found that can access your location, microphone or camera. An orange status icon indicates apps have been found that can access your location, microphone or camera. A red status icon indicates that one of these apps has also been identified as a known tracking app. 6. 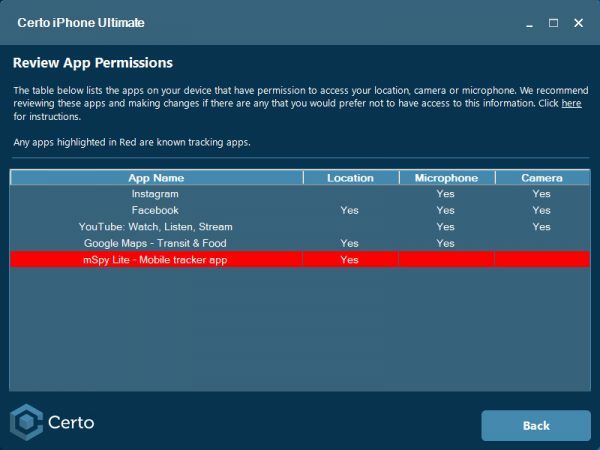 Click ‘Review Apps’ to view the list of apps on your device that have permission to access your location, microphone or camera. Any apps identified as tracking apps will be shown in red.